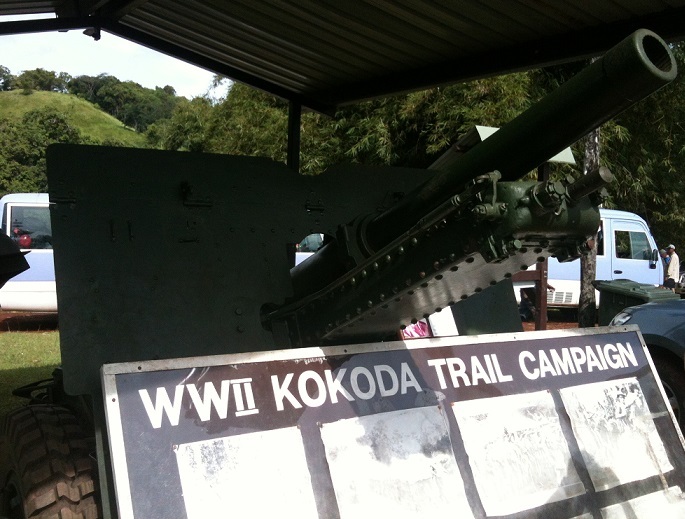 A couple of posts I go, I covered a recent trip to the Kokoda track. Well, yesterday, I had the opportunity to spend the day hiking part of it. 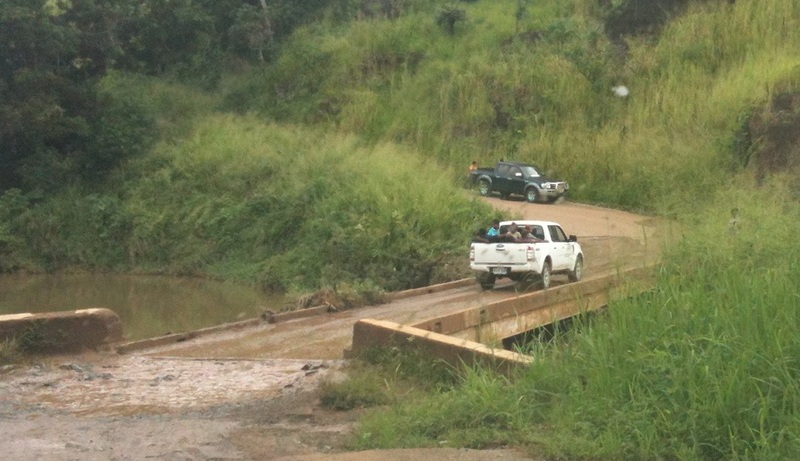 Getting there involved a drive of about one hour from Port Moresby. 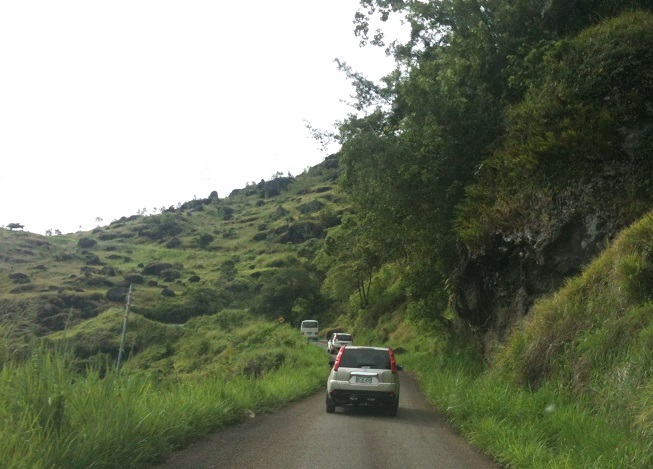 Part of the way is paved but the last half an hour was all dirt roads. It had rained heavily the night before, so the roads were quite slippery. 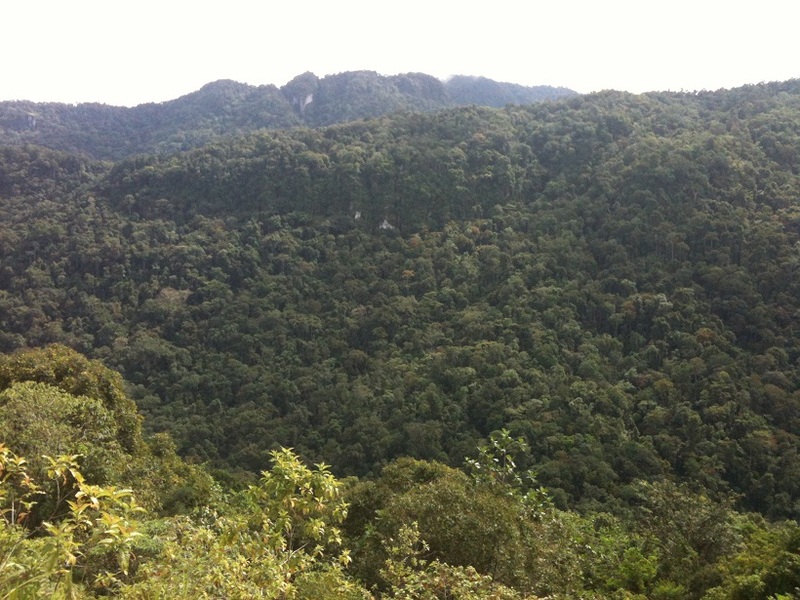 When one arrives, one sees a vast mountain mountain range and some very thick jungle. 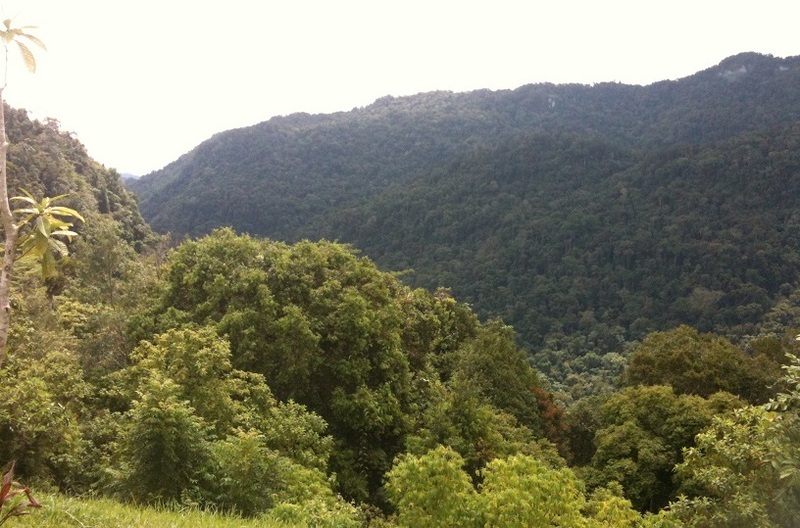 The prospect of hiking through it for any significant distance is quite daunting. There is a memorial at this point, and it is the launching point for many people hiking the track. Here, an old 25 pounder howitzer is on display. 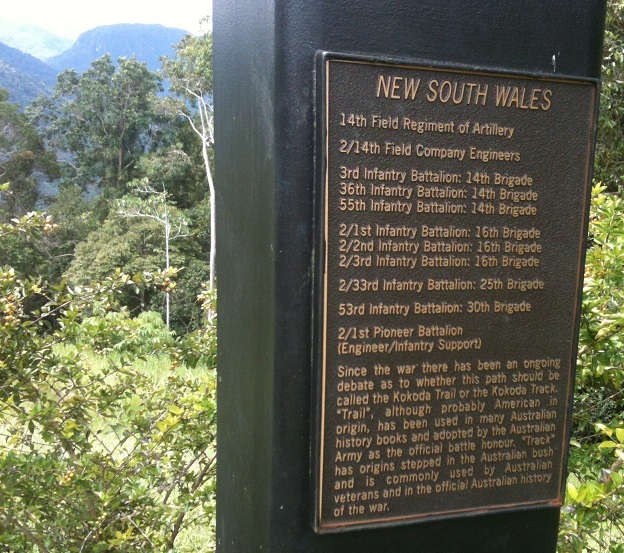 There is a plaque explaining how the Australian artillery units used these weapons to fire on the Japanese troops at a range of about 10 kilometres. 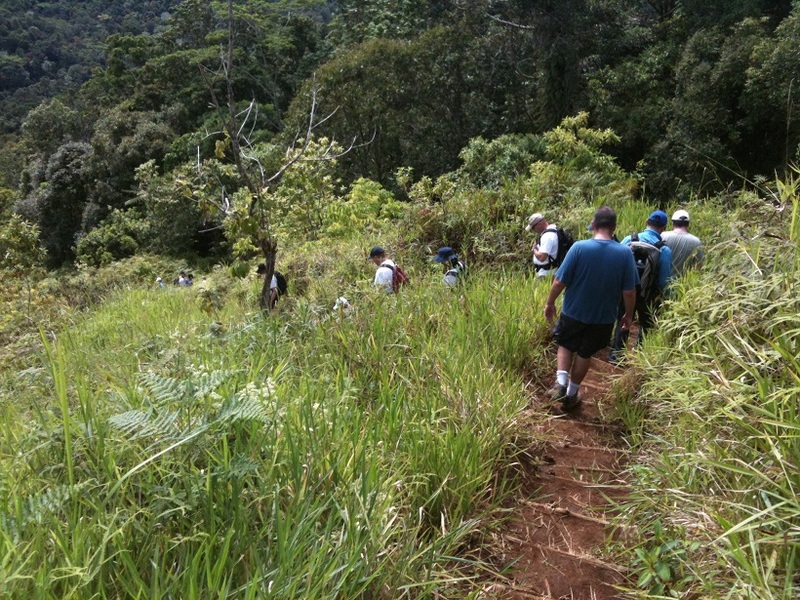 Hiking the Kokoda trail is so popular that it is becoming a significant source of income for the local economy. There was a particularly large contingent departing yesterday as they are intending to be on the trail for ANZAC (Australia and New Zealand Army Corps) day, the 25th of April. ANZAC day celebrates the anniversary of the Galipoli campaign in 1915. It was the first time Australian troops fought under their own banner – rather than as British troops. It was a baptism of fire and the campaign ultimately ended in failure. But in the process, it helped forge a nation. Most people carry their own packs, however some choose to pay someone to carry it for them. 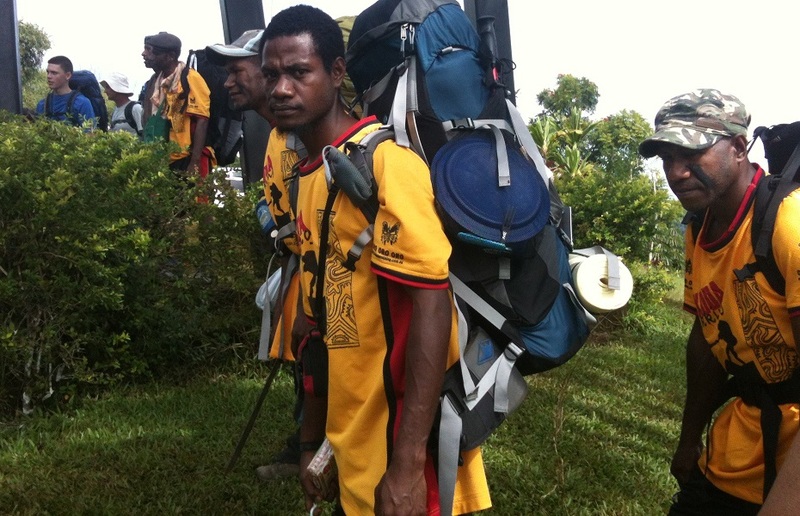 These guys carry all of the luggage and supplies for those who pay to have porters rather than carry packs themselves. It’s an incredibly tough job carrying other people’s crap for 5 days through the jungle. As you can see, this chap looks rather pleased about it. We set off and initially made good time down the steep hill. There are rough stairs in places made from a piece of wood held in place with two pegs hammered into the ground in front of it. 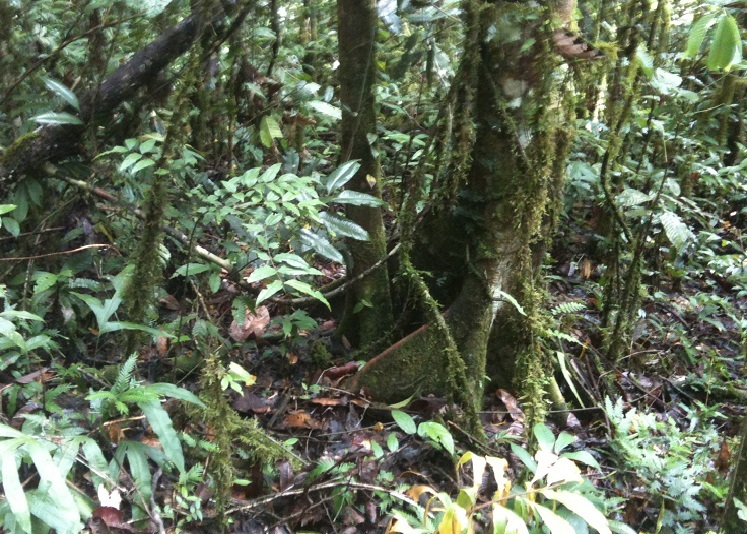 Then we hit the thick jungle and our pace slowed considerably. I couldn’t help but think about how incredibly frightening it must have been to be walking this path knowing that someone could be lurking in the bushes and open fire at any moment in an ambush. 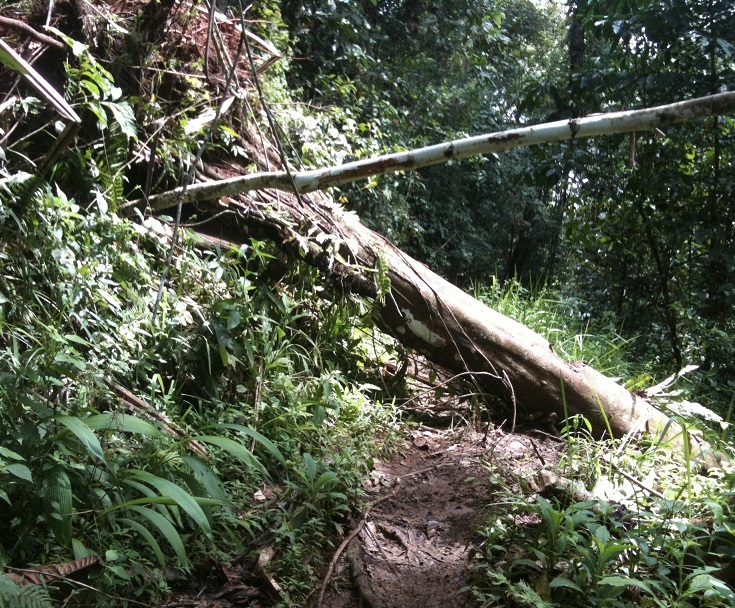 An obstacle like this log that has fallen across the track would have been a perfect place for a booby trap, so the soldiers would examine it very carefully before crossing. It quickly became clear that the rain had left the track soaked and boggy. Every step involved squishy mud and a desperate attempt to maintain traction. People began slipping all over the place and were soon covered in mud. One chap in front of me slipped three times in as many minutes. 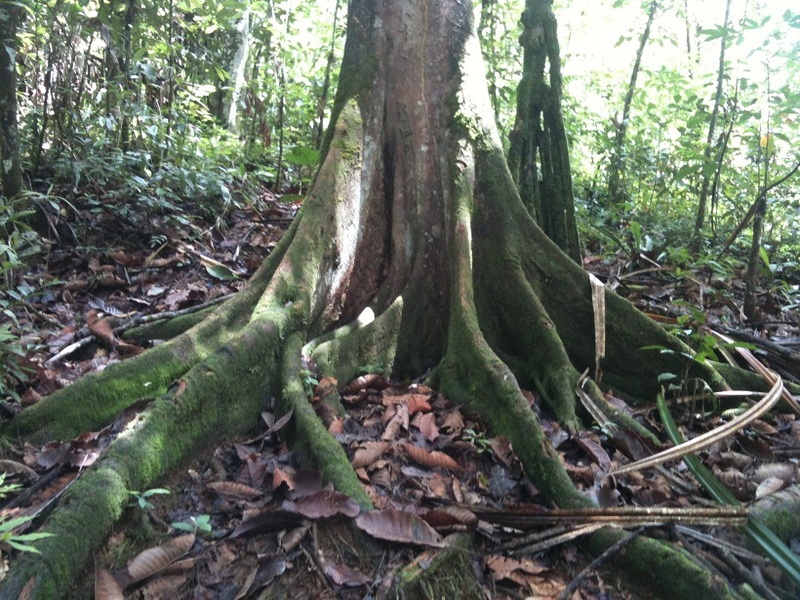 The tropical rainforest is quite spectacular. 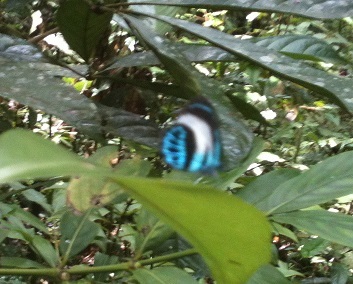 Magnificent butterflies abound and sometimes came and landed on me. They are tough to photograph though because they move so quickly. 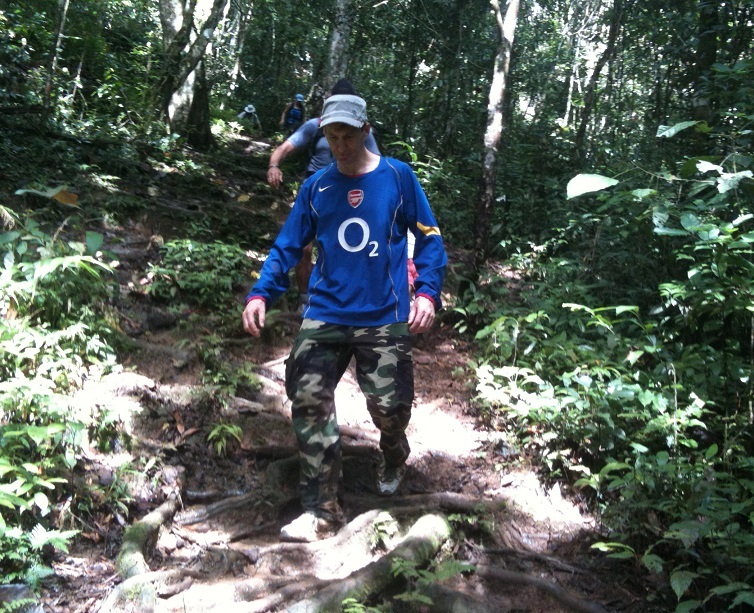 Here is a picture of me navigating the steep, slippery slopes of the Kokoda Track. 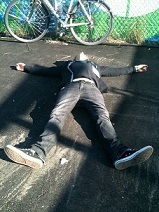 At one point I lost my footing and almost fell. I balanced myself but my hat came off in the process and landed in the mud. I decided not to clean it right away. 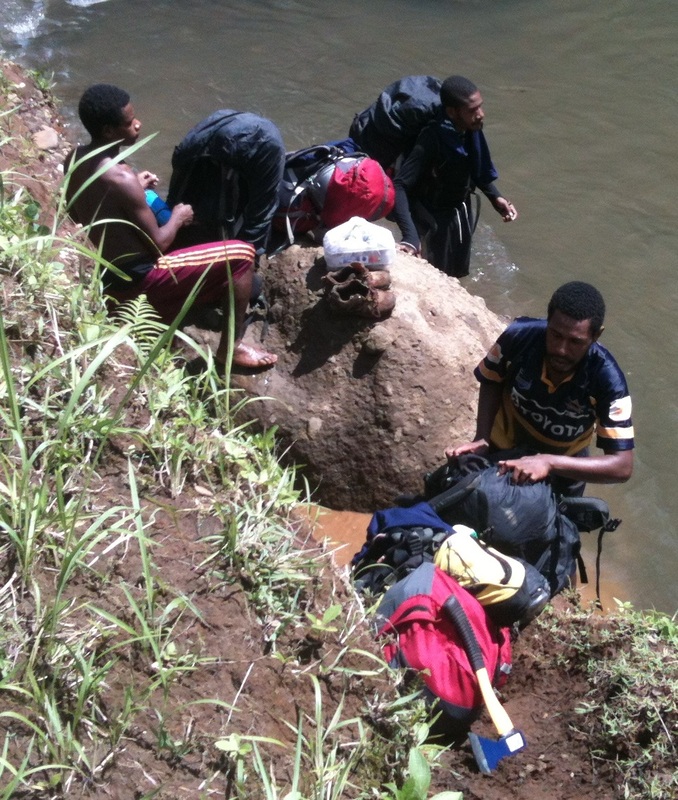 I like the idea of my hat having Kokoda Track mud on it. I was thinking that they really should hire some Japanese tourists to dress up like soldiers and jump out and surprise people. Maybe take them prisoner for a while. Just to give the hike a more authentic feel. 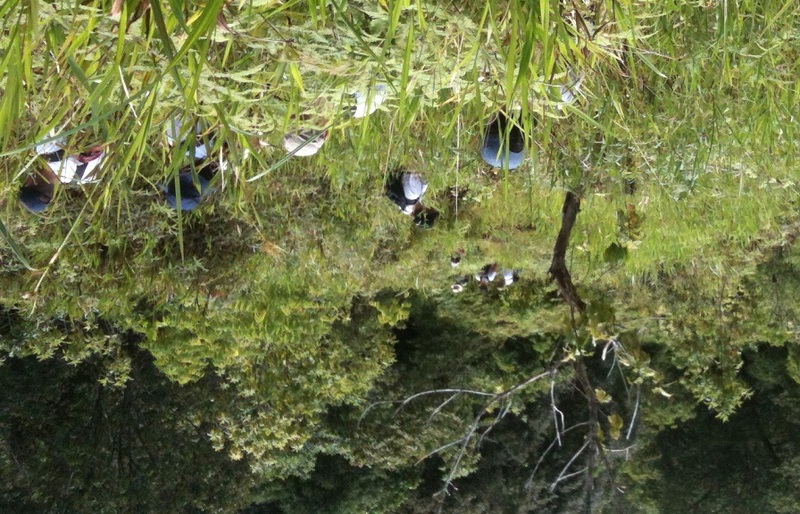 Eventually, we reached our objective – the Goldie River. 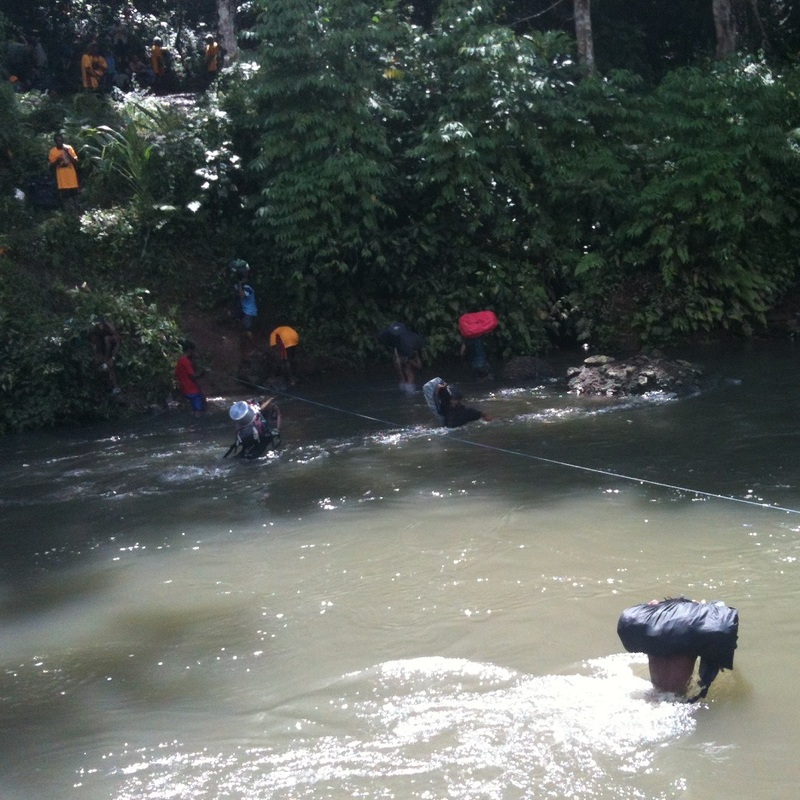 The poor guides then had the task of crossing the swollen river and running a rope across it so that the hikers could cross the fast-flowing water. In World War II, the guides were referred to as “Fuzzy-wuzzzy Angels” because they had afros and saved people’s lives by carrying the wounded back to safety. I can only imagine what it must have felt like to see this view and think that one had to cross that range on foot through terrain like this. 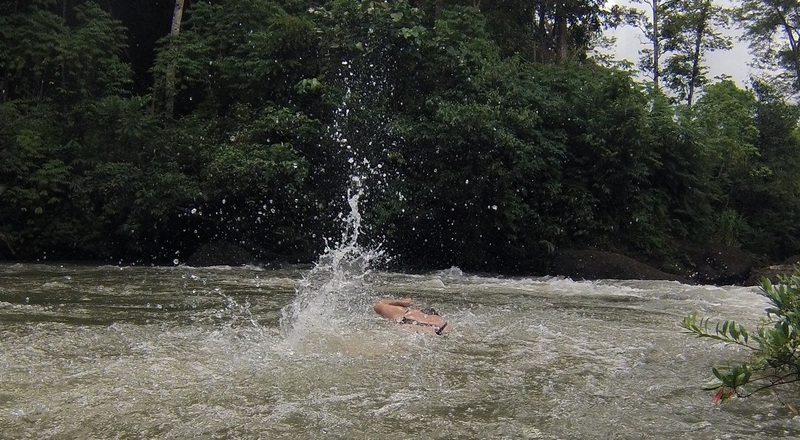 Fortunately, our trekking had reached its farthest point and we could enjoy a swim in the bracing water. I swam out over to the rock on the right – almost at the other bank of the river. 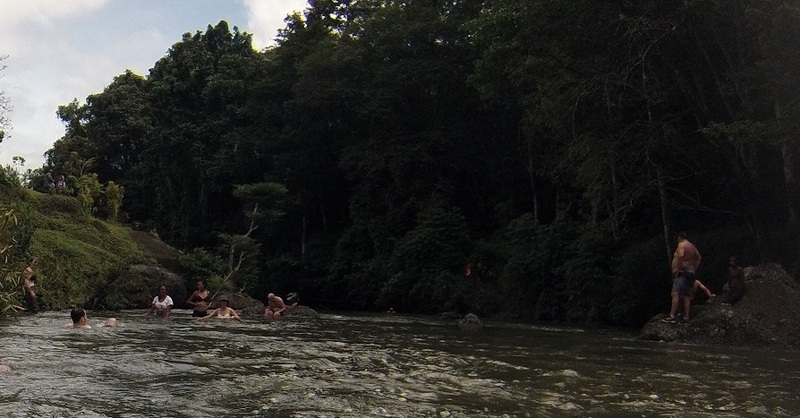 This woman decided to swim upstream to the rapids. 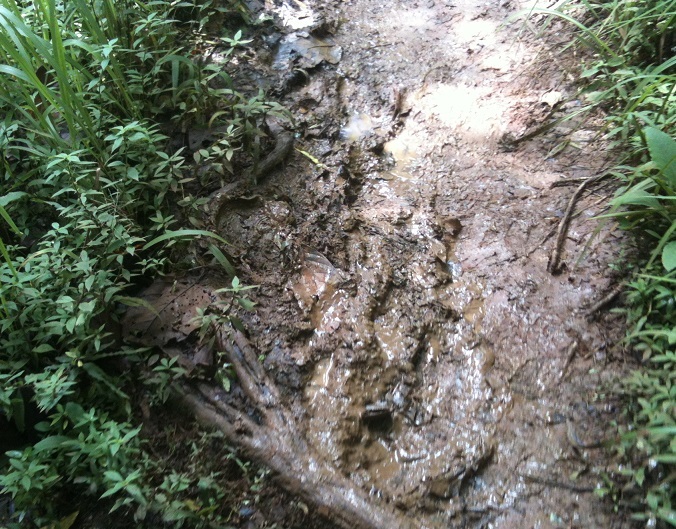 After a good break and refreshing swim, it was time to walk back up the slippery, muddy slope. It was tough, but not as bad as I was expecting. No worse than the “Grouse Grind” (for those readers who live in Vancouver), except of course for the mud and the constant struggle to find a secure footing. 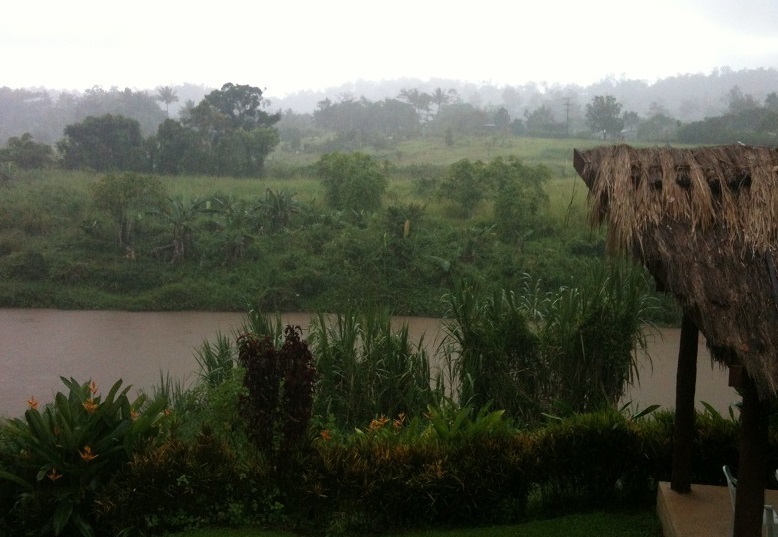 Afterwards we had lunch at the Kokoda Hotel. I recommend the barramundi. Mercifully, the rain waited until we’d finished to launch a downpour. I felt sorry for the hikers who were continuing on in the rain. Inside the hotel there is a mural that shows the various features of the track and provides estimates for how long each section takes. 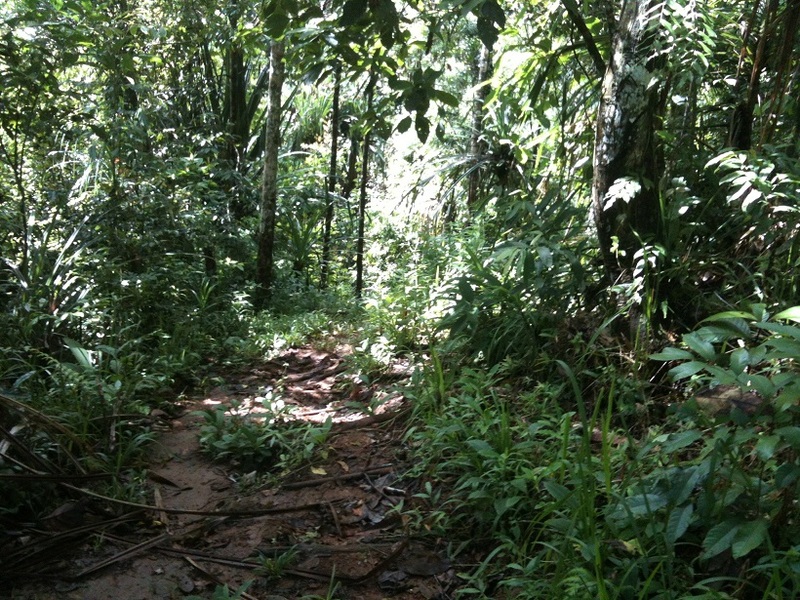 It was a wonderful experience walking along the Kokoda Track and I was most grateful for the opportunity. I wasn’t too sore this morning, as I thought I might have been after the hike. At the gym tonight, I signed in as I entered, as usual. One has to write one’s name, time of entry, etc. There is a column called “Purpose”, which is probably fairly evident so most people just write “Gym”. Or at least the first person on the page writes “Gym” and every one else writes ditto (“) underneath. But tonight, the chap who came in before me didn’t write, “Gym” in the purpose column, he wrote “Punish Self”, so I just wrote ditto below it. what a wonderful experience for you Chris. Don’t wash the hat, a little bit of history there. is it still quite warm and humid there? It’s always warm here but overnight it has been cooler lately – I have been leaving the fan on ‘low’. Hi Chris – just catching up on a month’s worth of blogs! 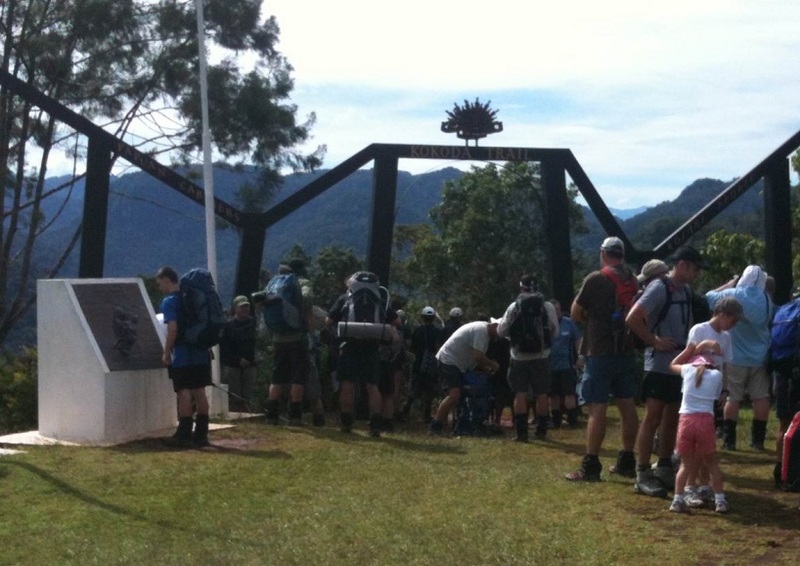 I really enjoyed your thoughts on the Kokoda Track and its importance to Australia. It reminded me of my visit to Vimy Ridge in France where my granfather’s name is etched in stone. Keep writing!